My ballet teacher recently purchased a CD of piano arrangements of Disney songs that we sometimes use for class. It's such a new recording that it includes a rendition of Frozen's "Let It Go." My teacher tells me that whenever she plays this in her kindergarten-age pre-ballet class, they ALL immediately begin singing the lyrics and complain when she turns it off even though they're done with the steps. So: I think it is safe to say that Frozen is the seminal Disney movie for current little kids. You know what I mean, right? Sure, you watched lots of Disney movies as a kid, but there's that one in particular that you specifically remember seeing in the theater and loving and watching on repeat as soon as it came out on video cassette (because I assume you, too, are OLD) and getting all the plushes for Christmas and that is THE Disney movie as far as your nostalgia gland is concerned. I've talked before about my intense love for 101 Dalmations, but I don't think I can count this because it came out before I was born. The Little Mermaid is in the right time frame, and so is Beauty and the Beast, but I must confess I was never a huge fan of the latter and the former lost its luster upon repeat viewings because while Ursula and Scuttle are awesome, Eric and Ariel are both kind of idiotic. So I'm going with The Lion King on this one, not only for its staying power but for the fact that I specifically remember seeing it in theaters, back when I was... what, eight? I remember my grandparents came too, and we talked about it on the ride home and agreed that it was just generally awesome. 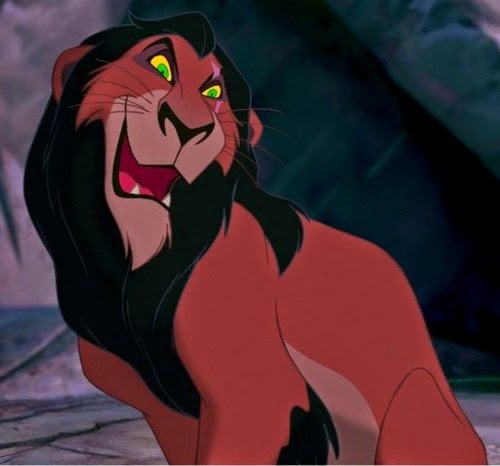 Also, SCAR. And it's interesting to ponder, I think, not just yours but that of your parents and even grandparents. My grandmothers both like Snow White and the Seven Dwarfs for obvious reasons. My mom has great love for The Jungle Book because that's the movie she remembers seeing and loving in theaters. ( forgot to ask my dad but since he has expressed very little interest in going to WDW with me at any point I say WHO NEEDS HIM. Now I turn the sticky theater floor over to you. What's your seminal Disney movie? Do you know what your parents loved as kids?